In 1917, World War I continued to rage all over Europe and beyond. It was the year that America entered the war, Russian revolution and a year which saw the Germans continue their attempts to force Britain out of the war by using submarine warfare to cut off all imports, thus starving the British people into submission. The role of the port of Liverpool was critical, as it daily received vital supplies which were essential to the British war effort. The Liverpool pilot boats, their captains and crews were tasked with the weighty responsibility of protecting the port against an enemy which concentrated its efforts on laying mines at the entrance to the bay. The men acquitted themselves heroically throughout. 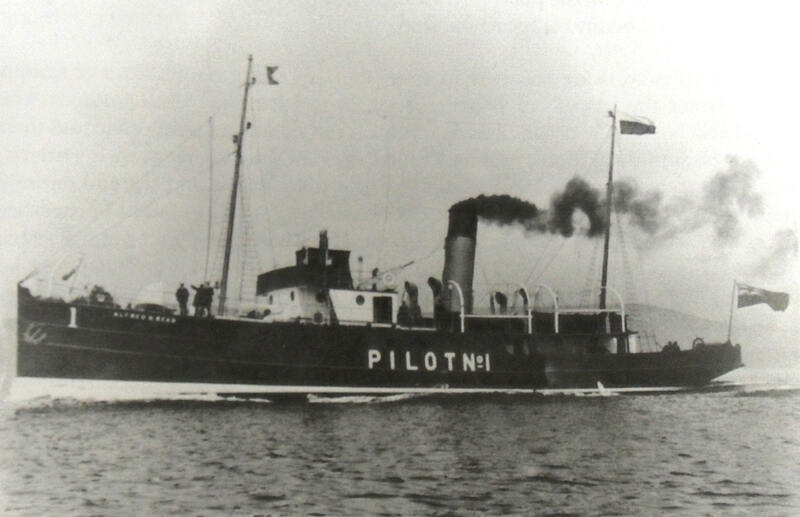 But on 28th December 1917, tragedy struck when a mine laid by the submarine UC 75 detonated on impact with the steamship, the Alfred H Read, otherwise known as Pilot Boat No 1. The boat was named after Sir Alfred Henry Read, a Liverpool ship owner and chairman of the Liverpool Marine and General Insurance Company. She was built by Murdoch and Murray of Glasgow in 1913 for the Mersey Docks and Harbour Board. At the time, she was on duty south of the Bar Lightship, patrolling the entrance to the Mersey. As conditions were good, many of her crew were asleep below. Reports from No 3 Pilot Boat, which was close to the scene at the time, record that at 3.15am, the pilots on board that vessel were stunned by a loud explosion. Looking across, they noticed that the lights on No 1 Pilot Boat had completely disappeared. Navigating quickly to the area where the Alfred H Read had last been seen, they found only the top of its mast visible. Responding to cries of help from the water, they lowered two boats, but could only find three survivors. One of these died the moment he reached the deck of No 3 Pilot Boat. Of the captain and remaining 38 crew members, there was no trace – all had been killed, presumably instantly or soon after the mine detonated. The bodies were never recovered and as The Commonwealth War Graves Commission website poignantly states, each man ‘has no grave but the sea’. The site records the names and ranks of thirty-six of the dead; one other has subsequently been identified, but two further names are not apparently recorded. Various memorials exist to the men who lost their lives, including one in the foyer of the Mersey Docks and Harbour Company’s building at the Pierhead. 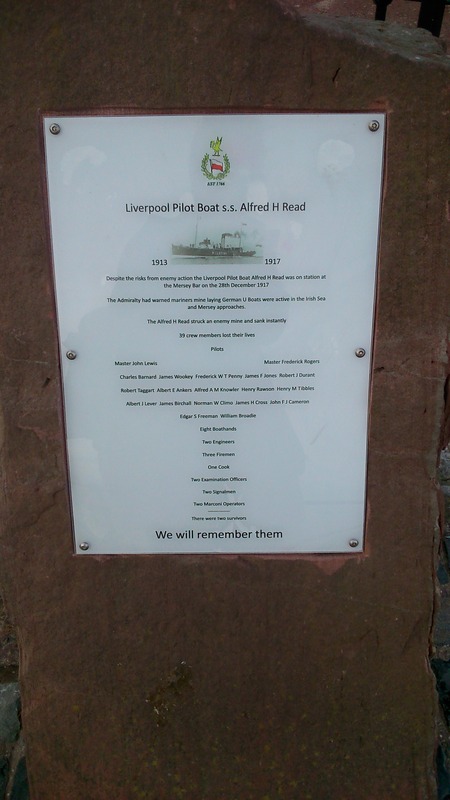 Just recently, a memorial plaque to the men, mounted on a sandstone block on the approach to Fort Perch Rock in New Brighton has been added to a series commemorating ship losses on the River Mersey. The series runs along the promenade to Seacombe.